Among the many annual traditions in the Lone Star State, few are as well known or as deeply etched with tradition and Texas excess as the State Fair of Texas. From outrageously fried confections to Big Tex and, of course, plenty of football. The event held at Dallas' historic Fair Park is larger than life. This year State Fair-goers have a new attraction to visit, one that recalls the roots of an old-fashion county fair: The Livestock Birthing Barn was conceived (pun intended) after a heifer gave birth to a calf during the fair last year. Now, all fairgoers can learn about the miracle of life through the incubation and birthing process of various livestock animals. 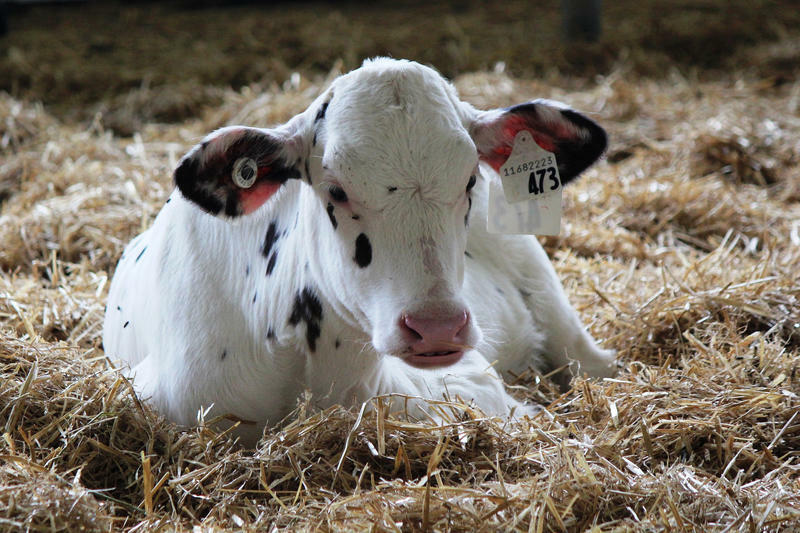 The goal of the Livestock Birthing Barn is to highlight the agricultural importance of breeding livestock and its role in our everyday lives. Daryl Real, senior vice president of agriculture and livestock for the fair, explains that the birthing barn is a place to teach the public about animal reproduction. The barn has lots of different live animals on display and there are special areas set apart for mothers that are about to give birth. When a birth is happening there is a staff member who narrates the process for guests. When there is not a birth, there is signage that leads people through the exhibit. On Tuesday the first animal was born during opening hours. All others have occurred overnight. Either way, Real says the animal's welfare comes first. Word broke this morning in Dallas that “Big Tex” – the iconic, 52-foot cowboy that greets visitors to the State Fair of Texas – caught fire and burned this morning. It’s a bizarre end to the State Fair, which closes this Sunday. Big Tex celebrated his 60th birthday this year. WFAA quotes Mitchell Glieber, the vice president of marketing for the State Fair, as saying it appears to have been an electrical fire. "There's obviously some electronics inside of Big Tex that leads to the ability for his mouth to move when he speaks," Glieber said. "I believe there was an electrical short, but that hasn't been confirmed or investigated." You can follow Twitter hashtag #BigTexFire for more details. Update: YouTube member TexasStormChasers was rolling tape on fire dispatch radio when the Big Tex call came in. "There's a tall cowboy with all his clothes burnt off," says one responder. "Howdy folks – it’s hot,” says another. Texas is becoming increasingly urban, but lots of folks still live in the vast rural swathes of the state, as do their animals. That’s why it’s a problem that there’s a big shortage of veterinarians, who want to practice away from the big cities. The solution seemed simple to Texas Tech University – just open a new veterinary school in the Panhandle to get more people trained. Facing potential new tariffs with China, some Texas agricultural producers say they’re concerned about extra taxes on the products they ship to China. 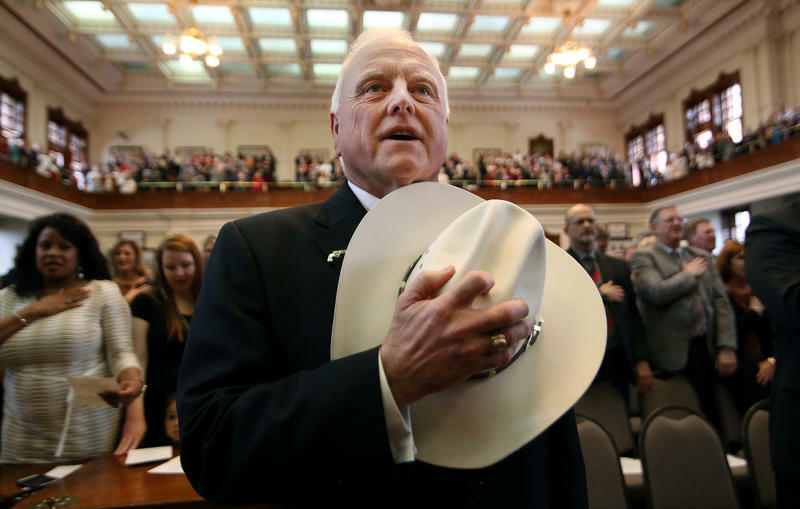 But the state’s Agriculture Commissioner Sid Miller says most Texas producers won’t be affected.